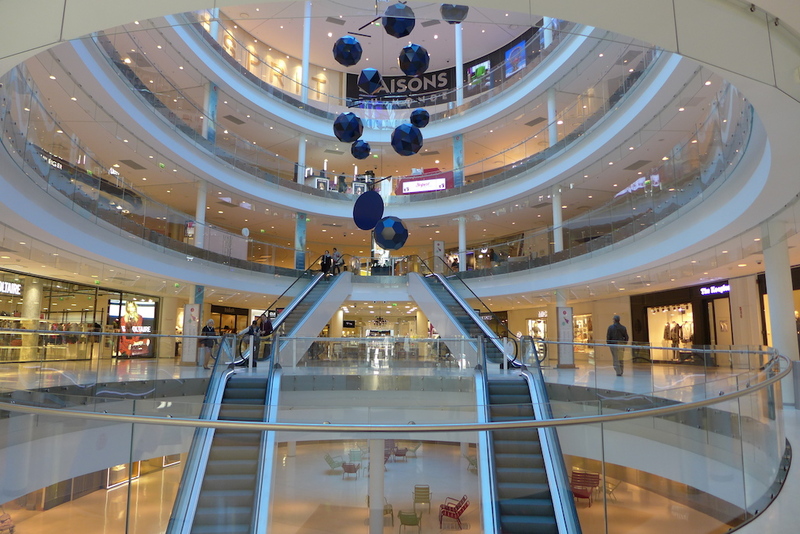 Beaugrenelle Paris is the newest Shopping Mall in Paris. It opened two years ago in 15th arrondissement of Paris in an area lying along the Seine River and called ‘Le Front de Seine’ which is located about 15 minutes walk southwards from the Eiffel Tower. Since its opening this new Shopping destination has got several awards including the one for ‘the Best European Shopping Centre 2015’. I went there for the first time this week and I have really been charmed by the brightness and user-friendliness of the place as well as by the casual chic positioning of its stores. It is the first time that a Shopping Mall with such an architecture and design has opened in Paris and I think that it is really worth the visit.